When you look at your home, ask yourself: Is this your dream home? Are the rooms in your house serving you the way that you think they should? Are you getting the most out of your investment? With the following 4 ways, you can improve your homes value for potential sale or just for the future. Let’s take a look. The kitchen is one of the most important rooms in your house. It’s the place where you prepare your food and bring the whole family together. 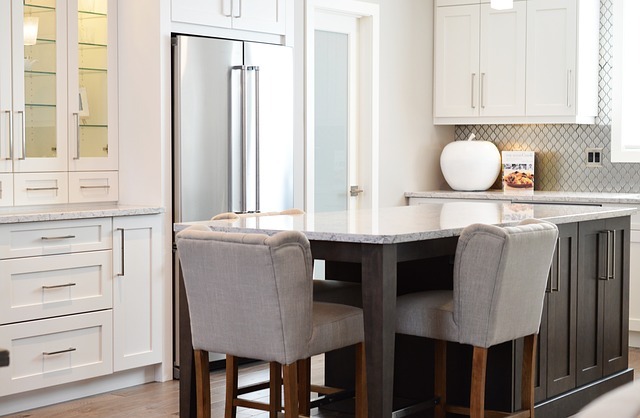 When your kitchen isn’t serving you as it should, cooking can become a chore, but when you remodel your kitchen into your ideal space, you’ll rediscover the joy that cooking can bring to you and your family. You want this space to be useful and optimized for everything you need to eat great food. We can help you by providing you with the amazing materials and products you need to create your ideal kitchen. The bathroom is more than just a place for bathing and using the toilet. It’s a place to recharge and refresh at the end of your day. It’s the diving board from which you dive into your day in the morning. Your bathroom is the place where you center yourself, so you want to make sure that it’s serving you as well as it can. Even something as simple as updating the room’s visual elements can add value to your home. A new deck using one of the many new decking products such as composites can bring so much to your home by giving you a place to enjoy the outdoors in style. With a few deck chairs and other assorted patio furniture, a deck can give you a new space to have friends and family spending time together. When you work with us, we will help you with everything from materials to building the deck! Adding value to your home doesn’t have to be dramatic. In some cases, all you need is something small to make your home truly amazing. New paint colors and other accents can breathe new lift into any room in your house. Adding new storage options can also transform your house into the home you’ve always dreamed of. When you’re looking for ways to add value to your home, we can help. Contact us today to learn more about our products and how you can turn your house into your home. This entry was posted on Wednesday, February 20th, 2019 at 7:00 pm. Both comments and pings are currently closed.